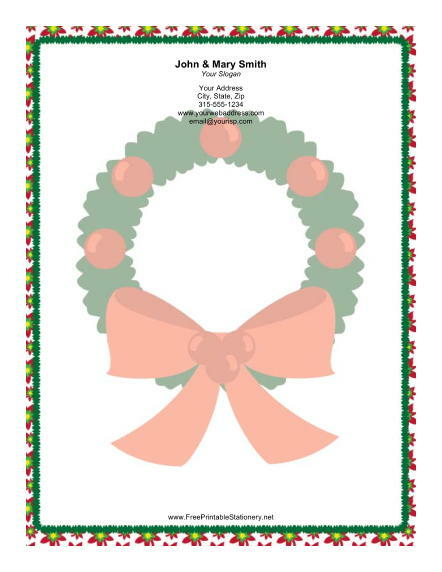 A large green Christmas wreath with a big red bow decorates this stationery. A green border and a background of small poinsettias complete the Christmas paper. Wreaths are a traditional decoration, making this a particularly suitable paper for seasonal greetings to grandparents.